Until recently, if a car dealer, auctioneer or manufacturer needed to find a car on their property for transport, test drives or sales, someone had the daunting task of figuring out where the car was located. Seems simple, yet many of these campuses encompass multiple lots and decks across hundreds of acres, some holding as many as 25,000 cars at any given time. Outside of driving (or running) for hours up and down aisles of cars, many lot operators decided to invest in expensive and often unreliable RFID, barcode, cellular or Wi-Fi tracking technologies over the past 10 years to make the process easier. Cognosos, an Atlanta-based startup, approached the problem from a different angle 18 months ago, creating a wireless sensor network that could be offered at a significantly lower price point. Cognosos set out to change the operator experience of finding vehicles by creating a more efficient and cost-effective way for car lot operators to locate vehicles and track their movement over time. Founder and CTO of Cognosos Jim Stratigos, a serial entrepreneur, came up with the idea for the application after spending several years studying software-defined radio (SDR) technology at the Smart Antenna Lab at Georgia Tech, where he had previously mentored startups. Stratigos was also familiar with the institution after earning two electrical engineering degrees from Georgia Tech. He knew SDR had been used in radio astronomy for decades and saw new potential for the technology in IoT applications if he could figure out a way to extend the range and battery life of a wireless network. SDR would also allow the physical layer of a wireless communications channel to be entirely determined by software, a promising perk that could reduce costs for potential IoT applications. After securing grant money to develop a new wireless networking technology, Cognosos successfully applied it first to the automotive market by building RadioTrax, a disruptive IoT platform for tracking vehicle inventories. RadioTrax allows users to do quick searches within a web application online or on their smartphones and see in real time the location and movement history of any car across all of their storage lots and parking decks. As explained by a Cognosos customer, what used to take three or four hours was reduced to 30 minutes. And unlike RFID alternatives requiring extensive infrastructure and only showing the last known location of a car, the RadioTrax system displays the car’s real-time location, while its gateway is the size of a Wi-Fi access point. A user simply scans or types in the car’s VIN, stock number or description into a smartphone or web interface and the car shows up on a digital map with instructions on how to reach it. The Cognosos RadioTrax tag is secured to the visor or hung from the mirror of every car and transmits a sub-GHz radio message using patented wireless technology. The RF device includes an accelerometer to detect motion whenever the car is moved. Delivering a competitive and viable low-cost technology alternative to the market required innovation across all spectrums of the product, including the chip level. Cognosos used a low-power Silicon Labs Flex Gecko system-on-chip (SoC), which supports both 2.4 GHz and sub-GHz frequencies with long-range capability and a transceiver and MCU on the same SoC. The wireless SoC’s high level of integration helped Cognosos reduce the size, cost and complexity of its device. The end result is a wireless network that enables the in-car RadioTrax devices to wirelessly transmit location to the gateways over a range of one to two miles, depending on terrain. Large campuses can be covered with a minimal number of gateways, reducing implementation and ongoing operating costs. Since launching the new product 18 months ago, Cognosos has grown quickly from a three-person to a 20-person company and is already working to expand its IoT offering to include both indoor and outdoor asset and inventory management tracking technologies. The company also has plans for new verticals in the future. Describing the company’s outlook, Stratigos said he sees any large outdoor area spanning hundreds of acres or more maintaining valuable assets with wheels (such as construction sites, airports, ports and so forth) as a potential customer, signaling the startup has a lot of opportunity in its future. The internet of things has penetrated every aspect of our lives, and it’s transforming how we test and develop software. With the IoT market projected to be worth $1,490.31 billion by 2024, this explosive growth is set to continue. However, testing procedures and processes are not ready to test IoT and, if no change occurs, it’s likely to result in delays in deployment, updates and user acceptance. So what does this frenzied growth mean for testing? As IoT continues to snowball, it presents testing with a myriad of challenges thanks to the vast number of systems and variations involved. IoT applications make end-to-end software testing even more complicated, and many organizations have underestimated the issues with test strategies. 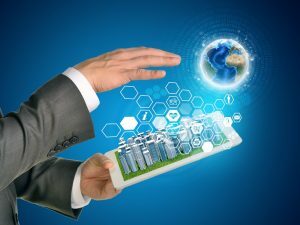 Within IoT, companies need to understand all the elements of an application, how they are working together and how people are using them, from the vast array of mobile devices and complex back ends to microservices managing a wide range of sensors and devices at the edge, as well as data collection, analytics and decisions in the cloud. 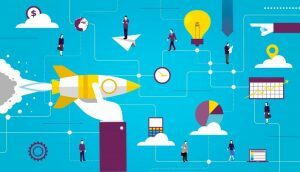 Suffice to say that this is the final nail in the coffin for manual testing; however, test automation also requires an overhaul to try and keep up. As so much of an IoT application is composed of services outside the application’s control, the only way that test automation strategies can keep up is to embrace AI and machine learning. Automation of test execution is not enough as the entire testing process from creation through to analysis needs to be automated. To do this requires intelligent models to auto-generate tests, with AI and machine learning allowing teams to analyze data from testing and to identify the patterns with bugs. AI-driven intelligent testing can build models by itself to continually test and monitor a system. Different AI approaches can look at the user interfaces, network traffic, system resources and so forth to build complete verification models. Expanding test automation beyond simple test execution and automating the creation of tests is the only way to achieve high levels of test coverage and confidence in complex IoT systems. Once tests can be auto-generated, machine learning is then required to focus testing on the areas that really matter, “learning” the areas of an IoT system that are the riskiest and the areas that matter the most to users and then focusing testing in that area. Today, most teams only have a few hundred test scripts, so it’s easy to simply run all tests; but once we can auto-generate billions of tests, we need machine learning to help ensure we are executing the right ones to deliver a robust product. Machine learning is also increasingly being used to understand which behaviors are bugs and which are features. Currently, development teams manually define what correct behavior is for each test case. However, once we have billions of test cases, highly complex systems, IoT systems interacting with each other and emergent behavior, it’s clearly not feasible for a human to define what correct is in each case. Especially since correct will be a range of values, not just one, and may in fact differ depending on the user and the context. So, AI and machine learning are at the core of the future of IoT testing as auto-generating tests, deciding which tests to run and deciding which tests have failed. If you think about different examples of IoT systems — from wearables to smart fridges to Amazon Go — they are complex applications that include a vast array of interconnected systems often built on entirely different technology stacks, so intelligent testing becomes essential. 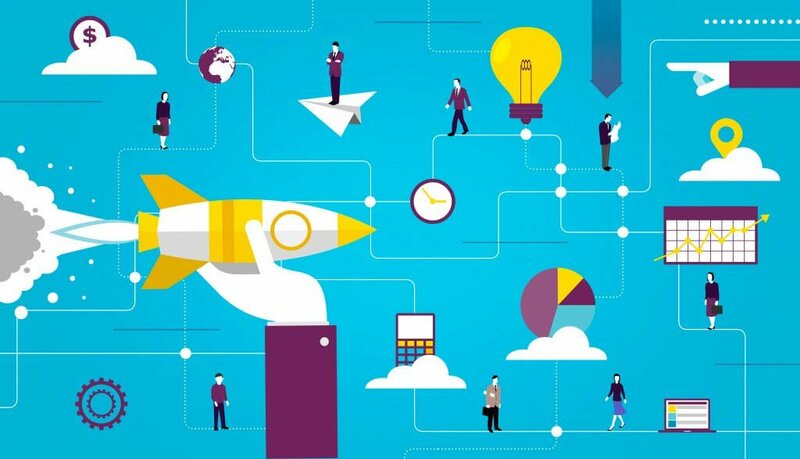 Intelligent testing, using AI and machine learning, is about demanding more actionable intelligence from testing: when automation, cognitive systems and advanced analytics become integral parts of a testing ecosystem, we should have high expectations, especially when proactively dealing with issues surrounding user interfaces and user experience. For IoT to continue on its path of rapid growth, intelligent testing is no longer an aspiration, but an essential. By incorporating AI and machine learning, testing is not only more intelligent, but it will become a critical business accelerator for those IoT businesses that embrace it. The “Uberization” effect is driving a seismic shift in the role services play in our increasingly on-demand economy. Enabled by technology, new service models allow customers to get exactly what they want when, where and how they want it. In notable ways, the service economy has already impacted several industries, including transportation (Uber), lodging (Airbnb), entertainment (Netflix), apparel (Stitch Fix), cosmetics (Birchbox) and groceries (Instacart). Technology itself is not even exempt from this tidal wave. Device as a service (DaaS) is a disruptive model fundamentally changing how devices are perceived, sourced and managed. According to IDC, 35% of Fortune 1000 companies will have a DaaS agreement in place and 1% will have completely transitioned to DaaS by 2019. That number is sure to grow as the promise of increased agility, lower and more predictable costs, access to the latest and greatest technology, improved security and sustainability considerations entice more customers. With 2019 just around the corner, there are four reasons DaaS is here to stay and why organizations need to move now to get on board. When technology is the key to competitive advantage, having IT staff drowning in routine tasks is the equivalent of Nero playing his fiddle while Rome burned — nobody is focusing on what matters. DaaS releases IT teams from mundane work so they can focus on transformative projects. Research reveals 50% of IT managers spend too much time procuring and managing devices and 63% say those resources could be better used on strategic projects such as security and digital transformation. Not only does DaaS enable organizations to redeploy valuable resources to more pressing tasks, but it also makes day-to-day device management more efficient. IoT-enabled devices deliver data that can be used to proactively address issues before they happen, eliminating downtime and minimizing maintenance calls and costs. DaaS also enables companies to shift the cost of acquiring new technology from a Capex to an Opex, freeing up cash for investment elsewhere. Plus, it allows companies to adjust device usage to match workforce fluctuations while the subscription model delivers a more predictable cost. Companies will continue to look for ways to optimize investments and realign resources to fund strategic initiatives, opening the floodgates for services that will enable and accelerate this shift. Security remains a key concern and driver of the move to DaaS. Juniper Research predicts that data breaches will cost businesses a total of $8 trillion by 2022. With cyberthreats becoming increasingly sophisticated and common, many companies are interested in the enhanced security that DaaS delivers. Security services proactively protect against attacks by monitoring every device — desktops, laptops, smartphones, printers — to ensure continuous compliance with security policies, including data access and approved apps. Automatic updates across entire fleets mean the resources required to manage all those devices are dramatically reduced. Another key benefit of DaaS deals with lost, stolen and retired devices. DaaS allows lost or stolen devices to be remotely located, locked and erased. Instead of stashing old devices in a drawer or closet, DaaS provides the peace of mind of knowing that obsolete devices are collected and wiped of data, while also enabling the business to recover the residual hardware value. With the proliferation of threats, security will remain an urgent and fast-changing area of concern — and 53% of organizations in the U.S. are already looking to partners to help keep their networks safe. More and more, an organization’s technology is a factor in recruiting and retaining top talent. Millennials are on track to make up 75% of the workforce within the next 10 years. On their heels, the oldest members of Generation Z, forecasted to be the most influential generation yet, are just starting to enter the workforce. These always-connected, tech-nimble groups regard devices as a reflection of their identity and have a no-compromise approach to technology. Company-supplied technology must be at least as powerful, lightweight and functional as what they have at home. DaaS empowers companies to deliver the right technology to each job function and provide stylish devices that employees are proud to carry. As the gig economy accelerates and companies take on more seasonal, contract or part-time employees, DaaS can be used scale device deployment to match changing workforce dynamics. With the talent war heating up, companies are competing for fewer resources. Smart, sleek, powerful technology will be increasingly important in attracting employees. In fact, an HP survey found that new technology is tied with sustainability as the top employer offering. Speaking of sustainability, DaaS enables companies to contribute to a more efficient, circular and low-carbon economy. As a service provides customers with access to sustainably designed technology such as printers made with closed-loop recycled plastic and ink cartridges made with plastic from bottles recycled in Haiti. These energy-efficient devices drive down energy consumption with features such as automatic shut-off when they are not in use or scheduled sleep and wake-up modes across the fleet. Businesses can further slash waste and shrink their environmental footprint by creating more efficient protocols based on user behavior. For instance, paper costs can be trimmed by deploying fleet-wide print policies such as single-sided versus two-sided printing or pull printing. Another important factor? Sustainability matters to employees — a lot. In fact, 56% of employees in the U.S. said they are more likely to work for an organization that offers ways to practice sustainability at work. Flexibility. Cost savings. Better security. Talent acquisition. Sustainability. These are irresistible benefits for any company, regardless of size or industry, and will make the continued shift to DaaS inevitable. Partners who move quickly to work with trusted vendors offering device as a service will be at the front of the massive wave of demand that is swelling — and will ride that wave straight into the future. Modern smart home security owes much of its success to advances in IoT protocols. These communication channels enhance interoperability and enable thousands of devices to “speak” and interact with each other — a critical requirement for any smart system. The adoption of a single common protocol is the key to positive customer experiences. Millions of connected devices, products and services are sold every year, using many different communication protocols. A single protocol would enable all of these devices to “understand” each other, work seamlessly together and enable consumers to handle device integration and technical support issues more easily. Furthermore, the adoption of a common protocol would prevent distrust toward smart devices and the companies that provide and support them. Raising the home security customer experience to a whole new level. The customer connects a device to a smart controller, creates rules-based scenarios and the possibilities are endless — users can set up lights to turn on automatically whenever a window sensor detects an intrusion, avoiding a possible burglary. Rules triggering specific actions at various times during the day. Rules such as opening window blinds in the morning and closing them at night, turning on the lights in the late afternoon or activating the garden sprinklers every other day can help make an empty house appear occupied. Turning traditional security systems into smart devices. Good old-fashioned door locks, doorbells, garage doors and internet protocol cameras could turn into state-of-the art security systems overnight when enhanced with IoT protocols. Homeowners could control their homes from their vacation suite on the other side of the world using only their smartphone. They could allow access to a predetermined list of people, let a technician in and then lock the door afterward, see what time their kids get home from school and configure locks to work in tandem with the thermostat, house lights or cameras — all with just a light tap of the finger. Enabling devices from different vendors to work together seamlessly. The adoption of a common protocol would benefit providers and customers alike. The adoption of a high-certification, standard-adhering technology, like Z-Wave, Zigbee or Google Thread, would give security providers a wide range of options in selecting the smart devices they sell to their customers. It would also allow them to offer customers easy DIY systems that would expand to meet their needs. While technology giants, such as Google, Amazon and Apple, want to develop protocols that will work only with their own devices, this will not fulfill the exciting potential for the industry. Only the ability to speak a common language and enhance communication between devices from multiple vendors will. We live in an age where technology is improving at an unprecedented rate in human history. In the span of a decade, phones, computers, vehicles and almost all tools we use in our daily lives gained self-operating capabilities and connectivity over the internet. 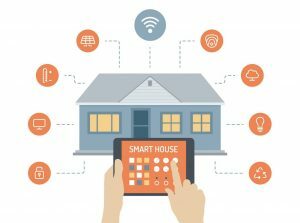 The ability to interact and communicate with devices makes even the most mundane tools such as refrigerators, dishwashers or televisions intelligent as we are starting to see a thriving market for devices that can receive data and have the ability to be controlled remotely over the internet. That is the promise of this technology after all; homes, offices and vehicles will be monitored and controlled remotely by using computers and smartphones, and all devices will be able to share data with each other for superior user control. The term IoT describes a growing network of connected “things” that contain sensors and processors and have the ability to communicate with each other. Both for individuals and businesses, every new piece of equipment, tool or machine is being designed and produced with IoT taken into consideration. New smart devices and consumer products appear every day to meet the increasing demand and lead us to a new way of life — where every appliance, tool or machine is smart and, in a sense, talk to each other. It is estimated that almost 18 billion devices were capable of receiving and sending data in 2016; experts believe this number will increase to 75 billion by 2025. IoT is one of the fastest growing technologies in the world, with millions of devices added to its massive network every day. Leading technology developers have very high expectations for IoT technology in the future as there are endless possibilities and customizable options for almost all tools we use on a daily basis. However, IoT tech is already here, and some devices and applications are readily available and are already having a significant impact on businesses and the daily activities of individuals. One of the very first business sectors IoT and telematics systems have completely reformed is the fleet industry. Data is everything to fleet businesses, but gathering and conveying information on a large scale has been a challenging task until the emergence of IoT and telematics devices. Before the invention of these advanced systems, companies relied on crude methods such as radios or pen and paper to obtain information which caused a lot of guesswork in the management process. Now, with the help of telematics technology, it is as easy as installing a tiny telematics device to a vehicle to receive vast amounts of data via sensors such as temperature, humidity, fuel levels, wear and tear, and tire pressure. As with any IoT device, these small gadgets send the collected data to a cloud-based tracking server where fleet operators can access it on demand. IoT devices are perfect for businesses that require constant monitoring and last-minute changes in their operations. Logistics companies, food delivery businesses and utility companies can take advantage of the connectivity of IoT devices to the full extent and can benefit from constant updates about essential information such as temperature changes, fuel consumption and GPS location data. Fleet businesses can customize their data to adapt to momentary changes in their operations and enhance the quality of their service. The ability to check the condition of a delivery truck, container or a machine from anywhere in the world, 24/7 is a dream come true for fleet operators. IoT tech has been nothing short of a miracle for the fleet business industry; by taking advantage of continuous data flows and sophisticated, fully customizable tracking software, companies can lower their operational costs drastically and streamline their operations. Another well-known aspect of IoT technology is making almost every device in our homes intelligent. We have been able to control some of the devices in our houses for a while now, but recent innovations in the field of IoT are taking it to the next level. From improving security to decreasing energy consumption, there are countless benefits IoT technologies offer smart homes and buildings. Imagine driving home in the middle of the winter and remotely activating the furnace to warm up the place before you get home. This and many other conveniences are among the main reasons why the internet of things is gaining popularity so fast all over the world. With so much more on the horizon for households, from smart toothbrushes to smart coffee machines, it is safe to say that we will have more secure and functional homes than ever. The internet of things is everywhere, and the technology is gradually invading every aspect of our lives. A connected world in which almost every vehicle and device can exchange information with other vehicles and devices can pave the way for sophisticated technologies — such as automatically opening garage doors and starting coffee machines that can prepare your coffee just the way you like it. While all these quality-of-life changes may have to wait a few years, we already have IoT technology being used in many industries. Connected vehicles gathering and sending vital information through telematics devices can help fleet businesses improve exponentially. IoT and telematics technologies work hand in hand to create state-of-the-art tracking devices and software that can help businesses with a vehicle fleet manage their operations in real-time over the internet. During the few last years, people have been creating complex connected machines. The whole network of IoT reveals incredible opportunities, but at the same time, we have been informed about negligence in IoT cybersecurity. Whenever you adopt new technology, it brings with it an excuse for exploiting a new field. In many cases, our behavior generates misunderstandings and data losses. An experienced hacker with sufficient investment will always find a weak spot. Collected data contain a means of information that is a treasure for cybercriminals. We have to confess that cyberattacks still appear. If we can admit that IoT devices can be vulnerable, we can make a significant step forward. In agriculture, the application of smart farming activates technology. The concept of precision farming is comparatively new. Its primary goal is to make cultivation correctly. Farmers know everything about risk management, crop growth, seed increase, climate and planning cycles. Though, the security topics never bothered anyone. And in many cases, there was no protection for the collected data. There are different threats to consider in precision farming — access to services, personal privacy fields, restrictive information and intellectual property. Even if the raw data is not robust on its own, it can be used to correlate information from other sources. It can be possible to identify potential volumes, affect accuracy expectations or create logistics disruption. The farming industry has started undertaking the transformation from paper to digital records. Nowadays, farmers integrate sensors and devices in almost any process, but IoT cybersecurity issues are not their primary interest. Unfortunately, they are not concerned that adding such technology can be hazardous and it can put people’s lives at risk. Device cost and functionality are the main factors for every farmer. As long as the machine works, the farmer is pleased, and the manufacturer is fine, too. However, no one within this chain takes security thoughtfully. Growers buy monitors or thermostats without any IoT cybersecurity protection or update possibilities available. Usually, communities replace these devices less frequently, often after 10 years or more. So we can certainly say that these devices are vulnerable. As a result, the agriculture industry has recently become a target for many cyberattacks. In any new sphere, we will have highly skilled people with the motivation to exploit for personal profit, or just for fun. Nevertheless, technological progress has never stopped. And the next steps in the agricultural evolution are inevitable. IoT devices will bring a number of opportunities to agriculture. An advanced farming system can provide more precise care for crops, and it can produce a big difference in hunger matters. But it is essential to ensure that there will be IoT cybersecurity protection. Each piece of connected farming equipment needs to pass a certification process, such as those gone through by potentially dangerous devices such as cars or medical devices. This certification will help to stop privacy violations and impediments of contracts, and ensure the integrity of network-dependent farming devices. The internet of things is growing rapidly, and IoT-enabled devices are beginning to appear in all aspects of our lives. This not only impacts consumers, but also enterprises, as it is expected that over 50% of all organizations will have some form of IoT in operation in 2019. The number of IoT-connected devices has risen exponentially, and that growth shows no sign of slowing as Gartner forecasts that more than 20 billion internet-connected appliances and machines will be in use by 2020 — a number that, even now, has surpassed the world’s population. With more and more companies developing internet-enabled devices ranging from doorbells and security cameras to refrigerators and thermostats, it comes as little surprise that threat actors are discovering new vulnerabilities and developing new ways to exploit them. IoT presents an unconventional attack surface, opening additional access points where attackers can establish a foothold and exploit corporate networks — often undetected by traditional perimeter defenses. A recent Kaspersky Labs report confirmed that these weaknesses are being exploited with alarming regularity. In the first half of 2018 alone, researchers identified three times as many malware samples attacking IoT-enabled devices than in all of 2017 — and 10 times the 2016 total. Not only are attackers aware of these vulnerabilities, they are targeting them at an accelerating rate. Recognition of this threat is growing, not just within the industry, but within law enforcement as well. This August, the FBI issued a public service announcement titled “Cyber Actors Use Internet of Things as Proxies for Anonymity and Pursuit of Malicious Cyber Activities.” The PSA warned both manufacturers and users of IoT-enabled devices of the vulnerabilities inherent to the network and common ways that attackers attempt to exploit them. While the PSA also made a number of suggestions regarding how to address these vulnerabilities, these recommendations are neither comprehensive nor enforceable. States, too, have begun to take notice, and this year California became the first state in the U.S. to pass a bill regulating IoT security. The bill, SB-327, will require manufacturers to equip connected devices with a “reasonable security feature or features that are appropriate to the nature and function of the device” when it takes effect in January 2020. The bill also includes specific security measures, including a mandate that smart devices must come preprogrammed with a password “unique to each device manufactured”– a statute aimed at addressing one of the most well-known IoT vulnerabilities, and one famously exploited by malware such as the Mirai botnet. Don’t Just React to Regulations. Take Proactive Measures. While California SB-327 is a good first step, the language in the bill is vague, leaving a lot to interpretation. For example, what constitutes a “reasonable security feature”? How does the government decide what measures are “appropriate to the nature and function of the device”? While specific password management guidelines serve to address certain vulnerabilities, the regulations feel far from complete — especially when compared to other industries. There are clearly defined Federal oversights and regulations for something as simple as a lightbulb, for which customers can easily find UL Ratings, energy efficiency listings and more. With that in mind, security teams and business leaders will need to take their own proactive steps to protect their environments from harmful attacks, especially those originating from these and other emerging attack surfaces. For many, this will require a shift in thinking, as traditional cybersecurity measures have focused on perimeter defense and the assumption that they can apply security controls such as antimalware or other policies to prevent a compromise. Today, those actions are no longer sufficient. Security professionals must accept that they may not know when these devices are introduced into their networks, and understand that this creates additional security risks that require additional security measures. To prepare for attacks on these devices and to further fortify their networks, security teams will need a new approach that includes a comprehensive set of detection and response tools that are designed to identify infected systems before they can inflict harm. Deception technology is now recognized as one of the most effective methods for detecting in-network threats across all attack surfaces — including difficult-to-secure IoT, industrial control systems, point-of-sale terminals and other devices. Capable of detecting threats that have bypassed traditional security controls, deception technology is a particularly powerful tool for reducing “dwell time,” or the amount of time an attacker spends in the network before being detected. The technology works to effectively detect, isolate and defend against network attacks by deploying a sophisticated network of lures and traps, designed to draw intruders into an authentic-looking deception environment where a high-fidelity alert is raised and intelligence about the attack is gathered and can be shared with other security controls for accelerated incident response. Security regulations continue to lag woefully behind the pace of IoT innovation as both Federal and state governments struggle to define enforceable policies for unsecured smart devices. Given the Federal delays in defining governance, other states will soon join California in imposing new regulations, creating a patchwork quilt for both suppliers and organizations to stitch together to create their compliance and maintain their IoT policies. That said, organizations are wise not to wait and should start taking immediate steps to protect themselves as these devices creep more and more into their environments. The use of deception technology along with proactive defense measures will keep organizations prepared for IoT attacks and from falling victim to attacks on their own infrastructure or in the indirect use of their devices to attack others. The rationale for the development of the fifth generation of mobile communications (5G) was not only to expand the broadband capabilities of mobile networks, but unlike previous communications technology generations (2G, 3G and 4G LTE), also to provide advanced wireless connectivity for a wide variety of vertical industries, such as the manufacturing, automotive and agricultural sectors. The fourth stage of the Industrial Revolution, also termed Industry 4.0, is the next era in industrial production, which will be largely dependent upon advanced mobile wireless communications connectivity. While the earlier generations were designed as “all-purpose” connectivity platforms with limited capabilities for different use cases, everything will be much different with 5G connectivity. 5G is an ecosystem for technology and business innovation with a massive portfolio of applications and their equally widespread requirements such as high reliability, ultra-low latency, high bandwidth and mobility. Some of the newer features that will augment the development of Industry 4.0 include cloud platforms, analytics, system automation and network slicing technologies, as well as new business models. Network slicing is one of the key capabilities that will enable flexibility, as it allows multiple logical networks to be created on top of a common shared physical infrastructure. What this means is that new services and new requirements may be quickly addressed and the elasticity of network slicing will help with cost, efficiency and other flexible requirements imposed by a large variety of industrial vertical services. 5G Americas, the industry trade association and voice of 5G and LTE for the Americas, published a white paper, “5G Communications for Automation in Vertical Domains,” summarizing automation concepts and communication modeling for vertical domains incorporating the key specific use cases, requirements and security mechanisms. The paper is available on the organization’s website 5GAmericas.org for free download and is a key resource in the creation of this article. Communication for automation in vertical domains comes with demanding and diverse requirements with respect to latency, data rates, availability, reliability and in some cases, high-accuracy positioning. The vertical industries that will reap the benefits of this new level of automation will range from railways, buildings, factories, healthcare, smart cities, electrical power supply and special events. These new Industry 4.0 opportunities will be possible through making sure that communications between machines is secure, dependable and seamless. To achieve this, 5G supports three essential types of communication: enhanced mobile broadband (eMBB), massive machine-type communication (mMTC), and ultra-reliable low-latency communications (URLLC). Connectivity is a key component of Industry 4.0 which aims at significantly improving the flexibility, versatility, usability and efficiency of future smart factories, integrates IoT and related services in industrial manufacturing, and delivers seamless vertical and horizontal integration down the entire value chain and across all layers of the automation pyramid. Meeting these objectives will greatly depend on the 5G technical performance such as supporting a peak data rate of 1-20 Gbps; connection density 1 thousand – 1 million devices/km2; reliability of 99.999%; enhanced battery life of 10 years; higher position accuracy; latency 1-10 ms; and strong privacy and security. It is becoming increasingly important that 5G technologies have the capabilities to provide ultra-reliable low-latency communication, which will enable automation in vertical domains through mission-critical machine type communication use cases. A 3GPP study item focuses on the requirements for automation in verticals with critical communications as an enabler for wireless control loops, identifying the normative 3GPP work needed to deliver 5G for automation in a variety of industries. 5G technology will provide a wide range of vertical applications such as IoT, virtual reality, industrial control, smart cities, smart grids and smart factories. Security and seamless communication offered through 5G will be of utmost importance as we move toward automation of verticals. By combining cellular networks with industrial IoT, manufacturing will become more effective and flexible. Cellular network capabilities are evolving from the support of massive IoT to extreme low-latency IoT applications — meeting the requirements of IIoT. Currently, most use cases on manufacturing sites are based on wired connections. However, as the evolving cellular capabilities are challenging industrial Ethernet systems, cables will in many cases become redundant, introducing opportunities for more flexible production and expanded digital operations. Tomorrow’s use cases for advanced manufacturing will require advanced connectivity offered through 5G. Market development for smart wireless manufacturing will depend on showing the value for mobility or wireless connectivity through a common service platform; providing offerings that resolve the issues and challenges that offset the investment in a new technology, thereby, proving the new networks’ practical and business value; and building horizontal and scalable systems to address cost, deployment and spectrum issues. Today’s manufacturers may not be aware of cellular capabilities, how they enable different digital systems and finally how these technologies address the issues and challenges for manufacturers today. Some areas that will derive great benefits from 5G connectivity and mobility for automation are, for example, shop floors with automated vehicles and assembly warehouses, which need secure and precise management as well as tracking of traffic, data flows and assets; low-volume and high-variance manufacturing cases, where wireless machine line configuration is simple and flexible compared to cabled machine lines; processes that cannot be monitored and controlled via cables but require wireless, real-time critical data transmission and a stable, deterministic network performance (bandwidth and latency) to operate; processes susceptible to human error, or advanced manufacturing that requires tacit knowledge and skills transfer, where digital tools will be widespread to mitigate for errors and encourage faster learning; and processes where coordination of factories, resources and components is time-sensitive or crucial for the result (for example, product quality and timely delivery). Communications for automation in vertical domains come with demanding and diverse requirements and must support applications for production in the corresponding vertical domain (for example, industrial automation and energy automation, but also transportation). This needs to be incorporated into new security standards and mechanisms for dependable communications. 5G systems will extend mobile communication services beyond mobile telephony, mobile broadband and massive machine-type communication into new application domains, so-called vertical domains, with special requirements toward communication services. Communication for automation in vertical domains comes with demanding requirements — high availability, high reliability, low latency and, in some cases, high-accuracy positioning. Survey industry security standards and their implication for critical communication over 5G networks. Mission-critical automation such as bio-electronic medicine, virtual power plants and management of solar grid generation and so on. Security responsibilities for automation in vertical domains are complex, as explained in the 5G Americas white paper “5G Communications for Automation in Vertical Domains,” as they are shared by several actors and need to be managed by credential pairs or certificates from different sources. Authentication and verification are implemented using the Extensible Authentication Protocol (EAP) framework. 5G security features include native support of EAP. The 5G mandate of supporting EAP Authentication and Key Agreement (EAP-AKA) allows adding new EAP authentication methods in the future that can be used for authenticating IIoT systems. Devices in many verticals operate over long usage periods (in industrial environments typically 10 to 20 years). It is important that an automation application system can be kept in service over a long usage period without requiring regular physical access to the devices for upgrades (for example, replacing hardware components or redesigning the technical system). However, it is also critical for the distributed automation application that UEs are upgradable or can be patched (including firmware, security-related algorithms and long-term keys) to maintain the security of the system to the state-of-the-art over the life span of the devices. When the security provided by the communication system is deemed to be insufficient for a vertical automation application, security of the industrial system is realized on top of the application layer (for example, using IPsec or TLS). 5G offers secure communications and state-of-the-art encryption. Integrity protection mechanisms are utilized in 5G to protect the user plane, control plane and management traffic. In addition, 5G supports user privacy protection for the information that can be used by unauthorized parties to identify and track subscribers (for example, protecting permanent identifiers such as Subscription Permanent Identifier (SUPI), International Mobile Subscriber Identity (IMSI) and International Mobile Equipment Identity (IMEI)). Year end 2018. 5G arrives! As 5G hits the market, particularly with early deployments in late 2018 and 2019, momentum is building as service providers accelerate their plans for 5G rollout. In its “3Q 2018 Mobility Report,” Ericsson predicted that in 2024, 5G will reach 40% population coverage and 1.5 billion subscriptions, making it the fastest generation ever to be rolled out on a global scale. This is driven by new, innovative systems that reuse existing infrastructure and available spectrum. In parallel to the 5G rollout, cellular IoT is passing new milestones on its way to becoming the technology of choice for wide-area IoT applications. Boosted by a strong uptake in Northeast Asia, cellular IoT connections are set to pass the 4 billion mark by 2024. As 5G arrives, many other vertical industries are looking with great anticipation at what 5G might bring to productivity, safety, reliability, quality of service and new innovations and services. So here we are with a new “G” after years of research, standardization and trials that will revolutionize industry and boost economy. 5G Americas is an industry trade organization composed of leading telecommunications service providers and manufacturers. The organization’s mission is to advocate for and foster the advancement and full capabilities of LTE wireless technologies and their evolution to 5G, throughout the ecosystem’s networks, services, applications and wirelessly connected devices in the Americas. 5G Americas is invested in developing a connected wireless community while leading 5G development for all the Americas. 5G Americas is headquartered in Bellevue, Washington. More information is available at http://www.5gamericas.org/or Twitter @5GAmericas. 5G Americas’ Board of Governors members include AT&T, Cable & Wireless, Cisco, CommScope, Ericsson, Intel, Kathrein, Mavenir, Nokia, Qualcomm Incorporated, Samsung, Shaw Communications Inc., Sprint, T-Mobile US, Inc., Telefónica and WOM. The internet of things. The phrase suggests an object connecting to and sharing information with other objects … but it doesn’t seem to factor you, the human being, into the mix. In order for IoT to be meaningful, it must include the human touch. This sense of human touch currently involves poking a finger at the touch-glass medium of a smartphone or screen-based device. Such poking is extremely common, but hardly ideal. We devote a ridiculous amount of time to staring down our omnipresent slabs of glass, an action that regularly disconnects us from our physical environments. Our phones have become the “universal remotes” of the connected domain, and they stand in the way of more natural interactions with our environment. As a designer and lover of objects, I know it’s important to develop more intuitive and instinctual, even inspirational, connections with the connected things around us. If we push beyond the glass console interface, we can create more of a direct relationship with, and trust in, these objects. So, how do we break out of the glass box? We start by analyzing our essential communication instincts and design interactions that work with human behaviors, rather than against them. When you analyze our relationship with our devices and environment, it becomes obvious that when commanding any combination of things, we want to understand our context at that moment, have full control over the object and enable collaboration with other individuals and objects. Once we comprehend the three C’s, we can unlock more sophisticated and personalized interaction methods with IoT. Doing so will broaden our understanding of the device, create a more trusted relationships with IoT and lead to deeper user commitment. People desire interactions that understand their present context. Obviously, gesture controls are not favorable when driving a vehicle and voice commands are challenging in a crowded public space. So, people want the ability to modify the interaction based on changes in their context (location, mood and so forth). Also, context-awareness is important in the discovery of smart objects, recognizing the possible relationships they have with one another. People want to command the objects they interact with and understand the larger system of which that object is a part. They may wish for “superpowers” that allow them to feel in control of the environment around them at every moment. They want technology to enhance their abilities as human beings rather usurp their control. Or to command their domain without constantly having to learn technological protocols. This feeling of instant expertise is becoming more and more important as the rapid pace of tech development places many in perpetual catch-up mode. People want to conduct their orchestra of connections and connected devices. That means collaborating not only with a multitude of surrounding objects, but with colleagues, friends, and family — including all the devices they control. This dialogue with the people in their lives and the devices within their daily routines needs to be enriching and productive and non-judgmental. Building off a foundation of these three instincts, we can start to imagine more meaningful interactions with IoT. Tech is endlessly evolving, but these instincts endure, so they can provide an anchor to establishing long-lasting human interaction behavior that fulfills people’s functional and emotional needs. Let’s imagine how a few of these technologies could provide a more human-oriented approach to achieving our instinctual needs. As this technology develops, voice combined with gesture will allow you to acknowledge specific objects and have quick and precise control of them. Turning on a particular light within a connected home could be as easy as pointing to that light and speaking the command. Performing more detailed interactions might be as simple as signifying a dimming command with your hands and then gesturing, with a rotating knob motion, to turn the light up or down. We see plenty of products that take advantage of the user’s voice to control the device, and promising technologies, like Google Soli, which could provide a number of touchless gestures for virtual interaction. Voice combined with gesture promise to become a deeper and more humanized method for interacting with our devices, especially when you consider how much smaller our screens are getting. Interfaces are being freed from tiny screens to inhabit our three-dimensional context. They will soon be projected over our field of view and integrated with objects in real space. Whether it’s a wearable device or a projection onto a surface close to you, advances in augmented interfaces will allow people to scan the room, recognizing and controlling devices within the network. Guided by an overall AI layer, suggestions of new types of device connections and skills could be created to allow people to orchestrate their lives more meaningfully. Your coffee table could turn into an entertainment console when needed, and your kitchen counters would provide a temporary surface for dynamic controls of the multitude of appliances with in the room. Projected technology is becoming more and more available, with companies like Lightform that allow you to build specific augmented reality experiences to fit the 3D contours of your environment. Projected interfaces will allow for a more natural interaction, in both the proximity of the interface and the dynamic comprehension of the context at hand. Brain-to-thing communication is evolving fast, and one day soon your brain command could remotely control the sensing and actuation of IoT devices. This will be a direct communication pathway between your mind and the device, eliminating the need for the existing delivery methods. Someday you’ll be able to focus on an object and your thoughts will be translated in direct physical actions. Right now, it’s fascinating to see universities like John Hopkins studying the ability of patients with spinal cord injuries to control prosthetics and other devices through brain activity. Although this technology is further down the road, it will be very powerful. We’re talking about a direct cognitive interaction, skipping the middle step of having to use your hands and/or voice, to complete a command. So, which technology is appropriate for which user function? It’s almost impossible to reliably predict how people will react to a design. This is why user testing is so important, not only to gauge the interactive naturalness of a variety of users, but to understanding if users are actually ready for it. All the technologies outlined above must be evaluated to prove they offer a more humanized form of interaction. As automation and connectivity increases, people will expect the objects around them to respond to the more natural interfaces of touch, voice and even by their mere presence in a room. Humans are creatures of habit, and the best interfaces recognize learned behavior while catering to our essential human instincts. As technology integrates more tightly with the human senses, we’re laying the foundation for a future in which humans and computers are united more closely together than ever before. Let’s design a future in which people put away their screens and interact directly with the world around them. Scott Berg is the chief executive officer of ServiceMax, an operating unit of GE Digital. In his daily work, Scott and his team receive questions from customers around implementing industrial and manufacturing IoT systems. This column serves to share some of those questions from the field and provide actionable advice for readers. Dear Scott: What are the pros and cons of connecting industrial or manufacturing sites to the cloud? I’m trying to understand the different considerations for a public cloud versus a private/on-premises cloud. Is it really all about security? Dear Reader: A decision between public and private cloud deployments is much more than a question about security. Every business should care about the security of their information — it’s a shared priority for all of us and is table stakes in this day and age. I often counsel customers around cloud considerations including data volume, proximity and immediacy of availability. When choosing a cloud framework, your decision really boils down to the unique priorities for your operations at hand. Considerations such as how much data comes from a given machine and how fast you want your systems to respond to that data are key. Security and personal access to that data are important, but not the first point you should necessarily consider. Is there a need for the data servers that inform your machines to have physical proximity? Is there an immediate benefit to the speed and immediacy of real-time data transfer between controlling databases and the machinery itself? Is there a constant stream of real-time data updates or two-way communication occurring between a given piece of equipment’s sensor array and your company’s core informational databases? Security must come into it somehow though, right? The debate between public and private cloud rollouts is something a lot of CIOs, IT and operations leaders grapple with. People tend to oversimplify the pros and cons and look at this as a straightforward data security question, as if the private cloud is simply more secure than the public. Security is absolutely a consideration, in terms of who can gain access to data, but what many people don’t realize is that there are ways of securing a public cloud just as well as a private cloud. Data security not only entails controlling who can access data, but also making sure it is backed up and won’t be lost. If you store data in a public cloud, you may lose complete data access security, but you gain data backup security. For example, if you lose a USB stick or a laptop, that locally stored data is still saved in the public cloud. When is public cloud better than private cloud (or vice versa)? Let’s think through two hypothetical scenarios. If you are the IT director for a medical device company, imagine you have a fleet of 1,000 MRI machines in operation across the U.S. For your purposes, a public cloud system might be perfect. Your goals here are to maximize uptime and understand usage patterns so you can improve MRI reliability for hospitals over a period of years. The advantage of a public cloud is being able to get data out of each physical machine location and have that information live centrally, so you can access that data across a variety of locations or even worldwide. Now, contrast that MRI scenario with an additive manufacturing context, where the data being collected is critical in real time. In this scenario, an industrial edge computing platform may be the way to go, because you can put ingestion, storage, analytics and even applications right next to the manufacturing machine. In this situation, an edge system gives you the advantages of speed and the ability to react quickly in high data volume scenarios. Now play that forward and imagine you have a huge fleet of 3D printers producing highly specialized parts for a customer with incredibly stringent data management requirements across a complex, distributed supply chain. This is where a private cloud system might make the most sense. You may connect and monitor edge devices, run application performance management programs and execute powerful analytics against large data sets in your own private cloud — all wholly separated from external threats. Over the years, I have learned that users need a selection of systems for various points along the industrial compute spectrum: from the edge to the cloud, and some hybrids like internal, private clouds. That’s why my company developed offerings to give businesses flexibility when and where they operate and make it easier for customers requiring an on-premises industrial IoT platform. At the end of the day, you know your business better than anyone — that makes you the best person to judge whether a public or private cloud system is best. There are pros and cons to both, but what they look like will differ from one business to the next, and from my business to yours. Remember to look through multiple lenses — data volume, proximity, immediacy and security — and allow your practical needs to steer you towards your answer. Do you have an industrial IoT question for Scott? Email us and your question may be answered in a future post!